WLTP is around the corner and will have a major impact on the European automotive industry and its consumers. 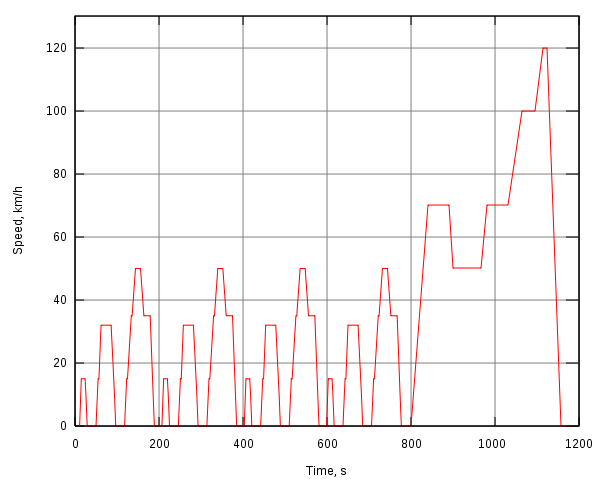 Most EU countries’ car taxation system is based on NEDC figures. It will not only impact BEV publicized range but also published co2 emissions for PHEV and ICE (Internal Combustion Engine) cars. 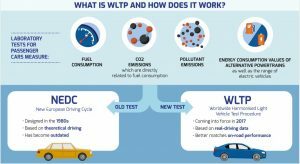 WLTP (Worldwide harmonized Light vehicle Tests Procedure) is the new emission test cycle replacing NEDC (New European Driving Cycle). Why is WLTP replacing NEDC ? NEDC was setup in 1997, in a time where fuel economy, emissions and global warming concerns were not as important as today. This testing cycle drove manufacturers to more engine downsizing : A small engine with a turbocharger that is not pushed too hard will not consume a lot, while showing a similar power/performance to a bigger non-turbo engine. Today in Europe most engines are turbocharged and have been downzised. Of course this optimization resulted in a large difference between manufacturer claims and what we drivers can achieve today. 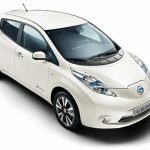 Who can get 4.1 liters per 100 km with a petrol Golf or 250 km with a full charge in a 30kwh Nissan Leaf ? Matching NEDC figures was still possible 15 years ago but today, these are anywhere between 20 and 50% off the reality. 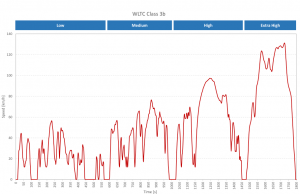 WLTP is supposed to be closer to real life driving conditions. 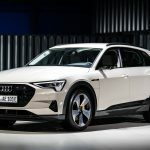 Which means a model will have its official co2 figures bumped up, by around 20 grams per kilometres (according to this Dutch study), and EVs/PHEVs will show official EV ranges decreasing by about 20%… But do not worry, underneath, it is still the same car! One interesting change is going to happen with wheel sizes and options. Today with the NEDC system, again in order to optimize results, manufacturers are presenting the most economical version of a given car/engine/gearbox (ie the basic version with the smaller wheels and no options). Usually NEDC ratings consider wheel sizes, but tomorrow with WLTP each car configuration will go through tests and it means a bigger tyre size or a heavyweight options could greatly affect the co2 rating of the car and the VRT or road tax you will pay. Instead of getting one single NEDC figure (378km 40kwh Leaf) , manufacturers will publish a WLTP range (best and worse cases scenario). BMW, one of the rare manufacturers who started communicating WLTP figures, is for example rating the i3 300km NEDC (with standard 19in wheels) or 290km NEDC (with optional 20in wheels) or . 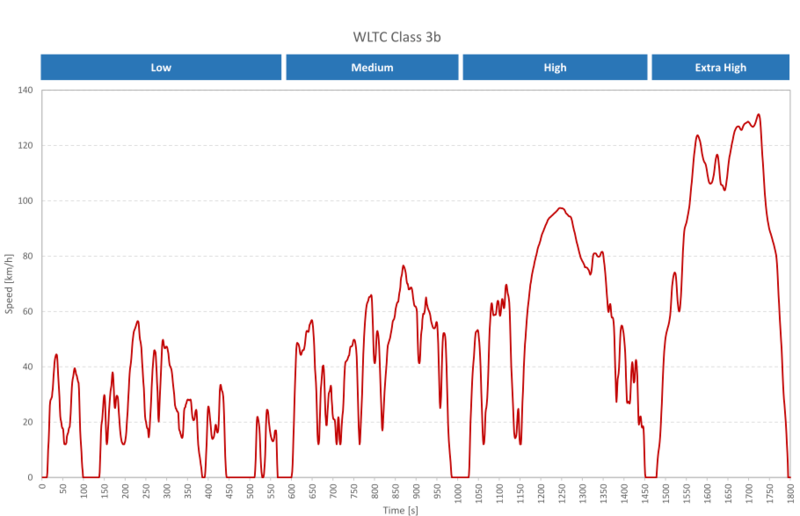 For the WLTP cycle, it shows a range of 235-255km. But even with this cycle BMW gives 200km as real-life range. So, when is it going to happen ? 1st September 2018 : All new cars coming to the market (newly launched models) will be publicised with WLTP. 1st January 2019 : All new cars (even the ones who were launched before September 2018) will show WLTP figures. What is it changing for the next car I will drive ? Instead of being optimized for a very theoretical test, the cars will be optimized to this more realistic test. Many car’s hardware will not change on the 1st January, but they will probably get software updates. On the long term it is possible that petrol/diesel cars engines will “resize” (as opposed to the downsizing trend we’ve seen in the past years). The good thing is that it should eventually benefit your real range/fuel economy. What is the government going to do about it ? Today in Ireland, like in many EU countries, the taxation system (in our case motor tax and VRT) is based on these NEDC related co2 emission. It will be based on WLTP on 191 registered cars onwards. 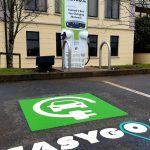 If a car emitting 115g of co2 today will go up to around 135g in 2019, VRT rates would go up by 2 points, road tax would go from €200 to €280 per annum. 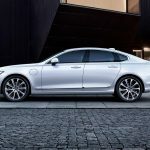 The ACEA (European Automobile Manufacturer Association, SIMI is a member of) is asking governments not to penalize consumers by adapting the taxation system. However it is possible that our government will use this as an opportunity to review taxation as they did in 2008. Today we are late on EV adoption, and pushing customers towards electrification by making the road tax and VRT a bit more attractive towards EVs/PHEVs could be a road the government is willing to take. The IEVOA will soon publish its recommendations. What if the government doesn’t change VRT or road tax ? It is still something that could happen. Here is a table showing different models (Volkswagen Golf in this example) and how WLTP would affect their VRT and motor tax, if nothing is being done. What are the car manufacturers doing about it, why is this news to me ? Manufacturers have been asked not to communicate about WLTP to avoid consumer confusion. It is quite understandable. At the moment they are passing WLTP tests to their current range of models and most don’t have figures to publish anyway. Another risk is that consumers might anticipate a 2019 purchase, fearing a hike in VRT/Motor tax, and resulting in a collapsing 2019 market. Not only it is a risk for national dealers but it is also at the European level for manufacturers that like to anticipate as much as possible production volumes. Manufacturers will also adapt their ranges of products (especially since wheel size or options are greatly affecting the results) to a new taxation system but governments are likely to communicate at the very last minute so we can say that today, in May 2018, we are still very deep into uncertainty. On top of it the Euro6d Temp norm is coming into effect for all models on the September 1st 2018, which means some software and hardware updates there too for Petrol and Diesel engines. No doubts manufacturers are trying to sort WLTP and Euro6d Temp at once. EVs should not be negatively affected by WLTP. 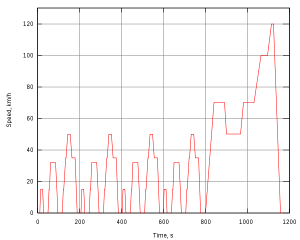 They will still emit 0g of co2 and beside the range displayed, they won’t see changes. PHEVs will go through more modifications to keep their advantages over diesels. 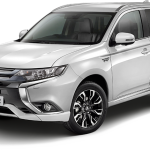 As of today, most PHEVs are available in Europe in stock only (long delivery times, caused by shortage in batteries don’t help). We can expect some model updates by the end of the year. For the Irish market, emissions should remain low enough to keep benefiting from VRT rebate, SEAI grant and low Motortax bands. 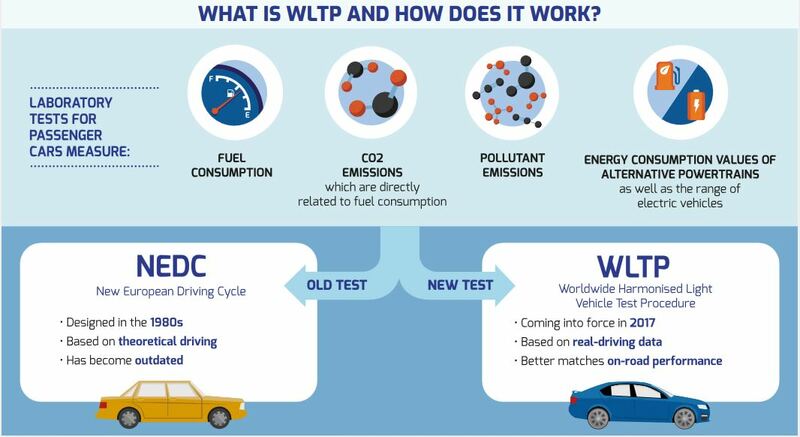 If you want to know more about PHEVs NEDC and WLTP cycle, check this quite technical document.